I deal with over a dozen jurisdictions in which my employer does business. Each one has it’s own idiosyncrasies, costs, procedures, and problems. One county, which shall remain nameless, is now requiring a higher level of engineering than any other jurisdiction in which we operate. I can’t say that I am surprised, and it is absolutely the prerogative of the building official in that building department. However, I don’t have to like it! The effect is not earth shattering – it amounts to approximately 1% increase in price for a solar electric system on a typical home. 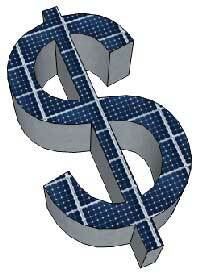 However, it highlights something that the solar contracting industry has been struggling with for quite some time. The permitting and inspection requirements of various jurisdictions in which we operate are wildly different. There have been some well thought out national guidelines developed that propose an expedited and simplified permitting process. The Solar America Board for Codes and Standards is one organization that has worked with building officials to develop a great set of guidelines for permitting. Sadly, it has not been widely adopted, at least in Southwest Florida. The issue with the building department in question is whether signed and sealed site-specific engineering documentation is needed to evaluate if existing roof trusses are adequate to meet the wind loads added/imposed by a solar electric system. It is my contention (keep in mind that I am not a licensed professional engineer) that the stresses added to a roof with a typical solar electric system are well within the capabilities of modern engineered trusses. I have never run into a design where the loads imposed exceed the existing roof’s capabilities. Every professional engineer with whom I have consulted has agreed with me. Now, of course there are many roofs that are not suitable for solar electric panels. Porches, patios, pergolas, aluminum pool cages, and other structures that are not your plain-Jane cookie-cutter home may not be engineered to handle the wind loads imposed by solar electric systems. It is not uncommon to have design pressures of 50 pounds per square foot (uplift), or point loads on trusses exceeding 400 pounds (uplift). To be fair, the numbers are significant, and building departments in Southwest Florida are still operating with the memory of Hurricane Charley fresh in mind. I believe that it is the responsibility of the solar contractor to evaluate the building and seek a licensed professional when justified. Florida Statutes allow contractors to submit shop drawings for permitting of a variety of structures without site specific engineering required. Statutes require building departments to accept such drawings. The jurisdiction in question here says that the contractor must prove that the shop drawings submitted meet the Florida Building Code requirements. The net effect is to require site-specific engineering for the addition of a solar electric system to an existing home. This difference of opinion is frustrating, yet understandable. As a percentage of installed cost, engineering, permitting, and other fixed costs are increasing as the cost of photovoltaic modules drops. It is imperative that this type of avoidable cost is eliminated to reduce the overall price of owning a solar electric system.